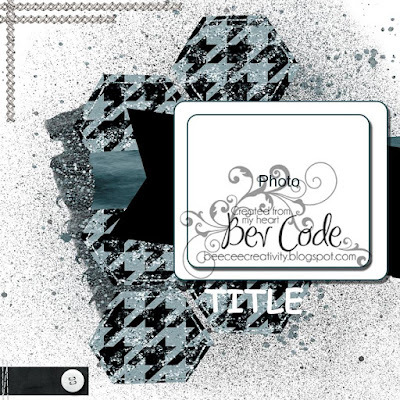 I'm sharing this tutorial on the Off The Rails Scrapbooking Blog today. 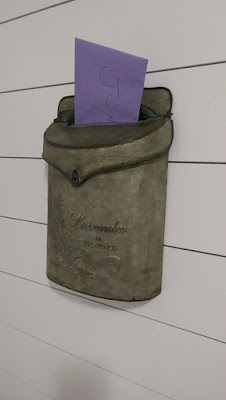 I have this vintage mailbox and when we lived at our old house it hung in the hallway at the top of the stairs. I usually put a flower arrangement in it that changed with each season along with some type of little banner across it. When we moved to the new house I found the perfect spot for it. It hangs in our modern farm house bathroom right above the claw foot tub. I thought it would be fun to use it as a mailbox, where my husband and I could leave each other love notes or words of encouragement. If I do say so myself it has been one of my better ideas. I love leaving him a weekly message of some kind and truly look forward to finding my messages from him. When I received this card from Randy, I knew I wanted to use it on a canvas to capture the cuteness! 1) I painted the canvas with a light coat of white Gesso. 2) Next I applied a coat of Delta "Passion" Acrylic Paint. 3) I then randomly applied Tim Holtz "Brushed Pewter" Distress Paint. 4) I used Mod Podge and applied some printed tissue paper to the canvas. 5) For the next step I covered the entire canvas with a light coat of the white Gesso and then wiped it off with a baby wipe. 6) I started randomly applying a variety of different mist and letting them run down the canvas (Heidi Swapp White Color Shine, Tim Holtz Hickory Smoke Distress Spray Stain, Tattered Angels Boardwalk Mist and Shimmerz Sapphire Spritz). 7) Wanting to add some texture to the canvas, I tinted some Modeling Paste with Tattered Angels Pewter Paint. I then haphazardly applied the paste to the canvas using a stencil. 8) I adhered the front of the greeting card and the saying to the canvas with Mod Podge. Adding the cluster of flowers completed the canvas. The August Mini Crop starts today over at Creative Inspiration and I have a challenge up. 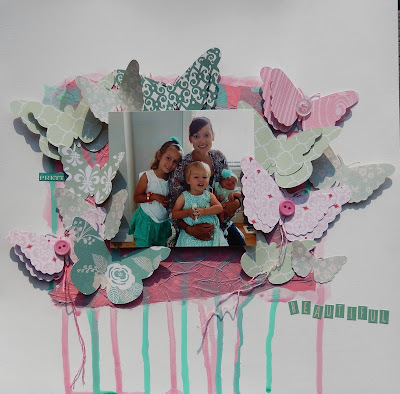 My challenge is to create a layout, card, tag, ATC or altered project using a vacation theme. There must be stitching on the project either machine or hand stitching. 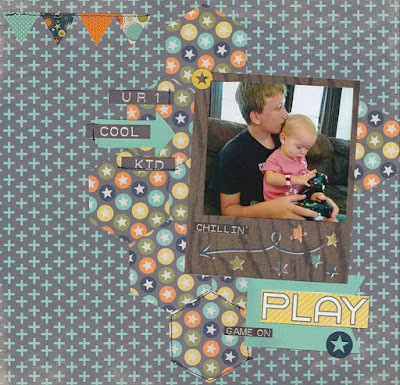 I created this layout for Jesse and Charlene's vacation album. of the challenges by the other Design Team members. Since things have settled down a little around here I now have some time to play in my new scrappy room. 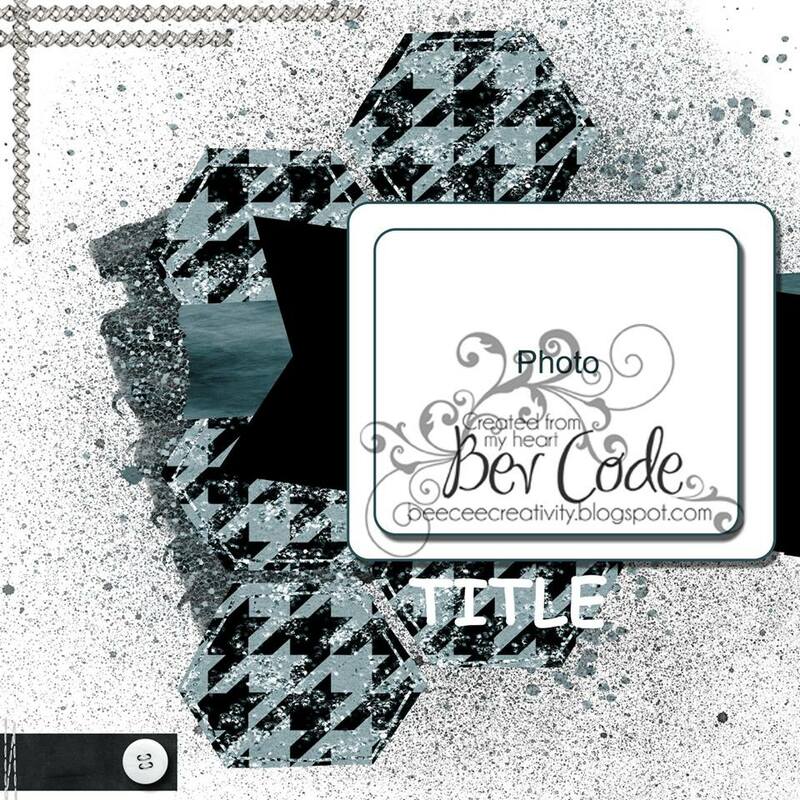 Be sure to check out the August challenges at Creative Inspiration. 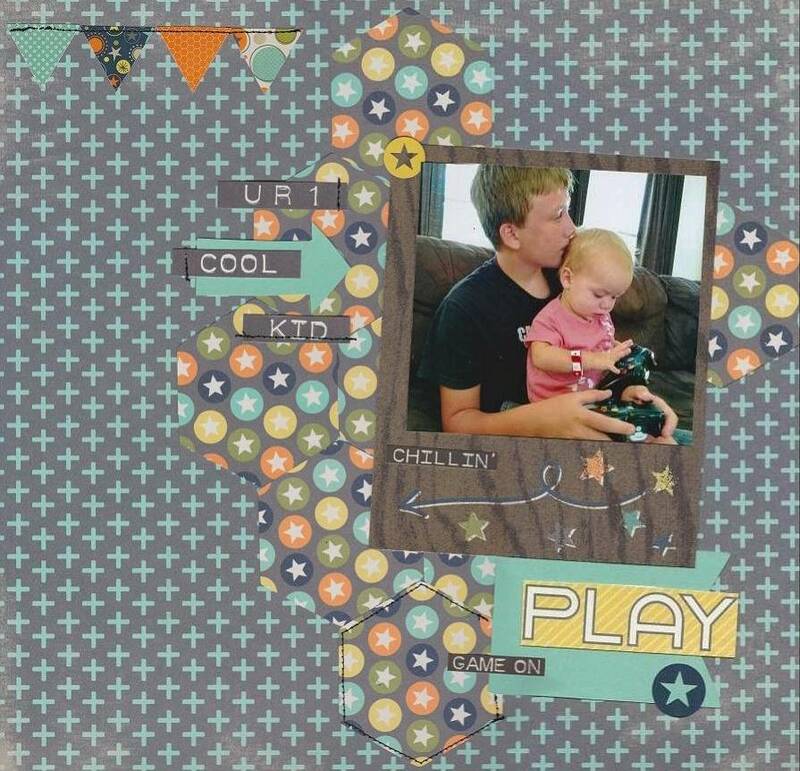 I just completed this layout for the August 2nd Wednesday Stash Challenge. You know the feeling when you complete a layout and you just love it ... it's your favorite (until you have a new favorite lol!). Well that's the way I'm feeling about this layout.